"I bought my Model 500 Mark V Shopsmith nearly 30 years ago. It's been a wonderful woodworking machine for me and I have used it for countless projects. But although it has been great and hugely useful, it was not quite Perfect. Perfection arrived about a month ago when I received my new PowerPro Headstock upgrade. I can say without reservation that it is the best Shopsmith upgrade imaginable! Just quiet, smooth, steady power over a huge range of speeds with reversible direction and even an on- amazing...and I am VERY satisfied !" 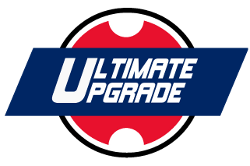 "I would like to compliment your staff that put the PowerPro Upgrade instructions together. I watched the DVD and read the instructions... then proceeded, step-by-step. I referred back to each often, which probably took extra time, but it is absolutely perfect. Thanks for a great product and the instructions to do the job properly!Joseph L. Via the internet"
"I'd like to thank you for the wonderful work you and your team did in developing the PowerPro. I have been so impressed with the new capabilities. The boost in power is fantastic and the quiet-running machine is wonderful, to say nothing of the wonderful features programmed into the whole system. I use the chart button for virtually everything. It's one of the neatest features of the PowerPro. I have always enjoyed my Shopsmith... but when I got my PowerPro Upgrade, I was blown way ! It felt like a whole new machine and even more versatile than I had already gotten used-to. I would probably not be a woodworker if it were not for my Mark V!" "Through the years, I've upgraded my original 500 model Shopsmith to 510, then to 520 and now to the Ultimate Upgrade -- PowerPro. The smooth, quiet operation is impressive. Placing a cup of coffee on the table reveals nary a ripple, even at 10,000 rpm. Users will find that the PowerPro's ability to sense torque makes it possible to do table saw ripping equal to many cabinet saws. Additionally, the variable speed feature has made it possible for me to rip and crosscut curly maple and cherry without unsightly burn marks. This upgrade gives those with very small shops (like my 192 sq. ft.) the increased power and capability of many larger, stand-alone machines." "This drive is indeed a big step up from the old one. It is quiet, vibration-free and easy to adjust for the job at hand. Thank you for this improvement. My brother...also a retired mechanical engineer...is now wondering about getting the new drive." "I have installed the new PowerPro Headstock without great difficulty. I found that it runs surprisingly quiet, compared to my original Headstock... imparting an appealing jet-breeze like sound, which to enjoy fully, I have to remove my ear-muffs." "The enhanced high-end speed of my upgraded Shopsmith PowerPro headstock produces super-smooth saw and router cuts... while its 250 rpm lower limit lets me rough-in large turnings on my lathe and use huge forstner bits without fear of burning them up. Congratulations, Shopsmith. The PowerPro is awesome!" "My new Shopsmith PowerPro headstock is a blast! I haven't had this much fun working with my Mark V since I bought it in 1987. Yesterday, I caught myself staring at it like a kid, with a big grin on my face... as I ran it in reverse, sped it up and slowed it down. Then, when I used my Shopsmith Bandsaw to resaw some thin sheets from a 6" oak board, I was really impressed with the increased muscle that it had! It's neat to be able to do new things with it!"